Got a special love for Tetris? Or maybe you just want to pay homage to this obscure 80s game by placing it in your home? 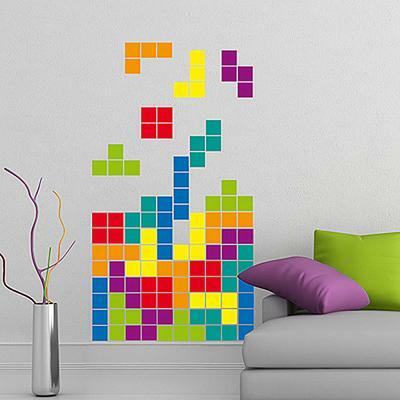 No matter the reason, this Tetris Wall Sticker is fabulous way for injecting colour into your living space. If you've ever wasted countless hours whirling and turning around these coloured blocks, then you know how awesome this wall sticker is. Place this in your living room, creative room or even bedroom! Bring back some nostalgia for yourself or maybe a friend by giving this as a present. This wall sticker is quite a keeper.